In a effort to boost membership Julian has again donated some consoles which you can select one of by paying your $25 2016 membership up front. 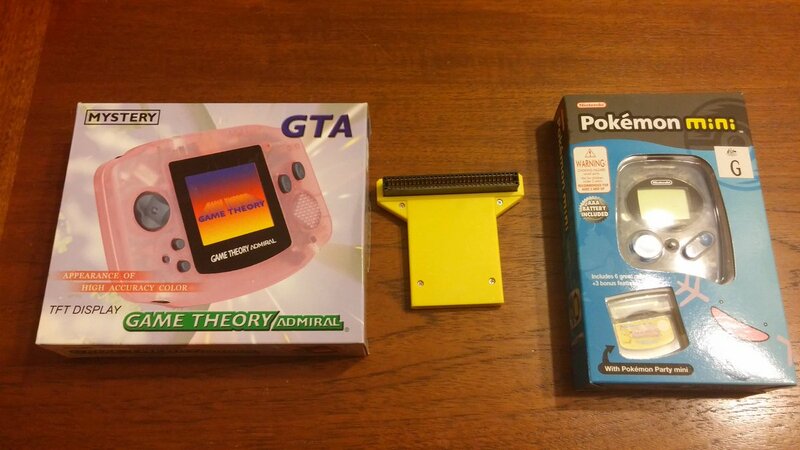 Last year he donated some Neo Geo Pockets – we still have one left – this year it’s the Game Theory Admiral Famiclone with adapter to take actual Famicom cartridges or the blue Pokemon Mini including Pokemon Party Mini. Thank you Julian for your kind donation.